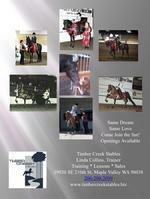 Please contact us directly for a current list of horses for sale or lease. If we dont have what you're looking for, we'll help you find it! Be part of the excitement today!!!! !